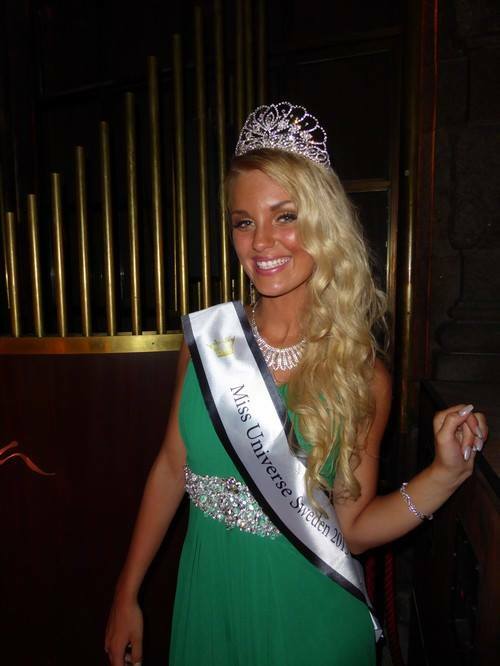 20 years old Paulina Brodd, a Television host & a model, has won the crown of Miss Universe Sweden 2015. She will represent her country at Miss Universe 2015-16 which will be held next year. Paulina is the daughter of Miss Sweden 1992 Monica Brodd who represented her country at Miss Universe 1992 & was in the top 10. Paulina is a fitness expert & she writes blogs about it. She is also a student of Business Management.Sweden has won 3 Miss Universe crown till now. The first one was in 1955 when Hillevi Rombin won, eleven years later Margareta Arvidsson won Miss Universe 1966 & Yvonne Ryding became the last till date Swedish to win Miss Universe in 1984.